Lunch time arrival from our local postman saw the arrival of the latest edition of 'The Artist' magazine land in the post box and printed within my latest seascape article. At the same time the post box clanged the sun came out! 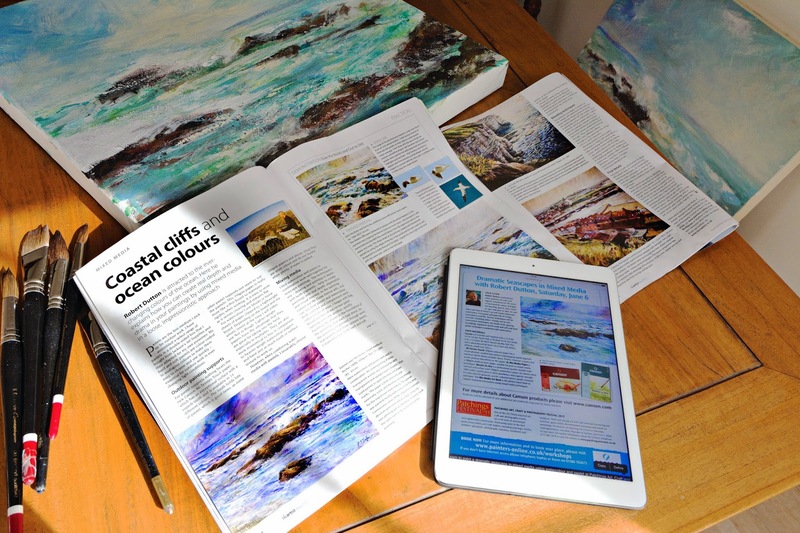 Very fitting since I'm always uplifted to see the sea...and paint it too and that is exactly what I was doing to get the last paintings finished for showing in my forthcoming show 'All Creations Great and Small' starting 17 April until 4 May '15 with 3 other superb artisans at 'Inspired By...Gallery' North York Moors Visitors Centre, Danby. Judging by the take up on my mixed media watercolour and pastel workshops at 'Patchings' Art, Craft and Photography this year (I was checking progress there too on 'the pad'), it looks like you are all keen to get your brushes busy with me too! 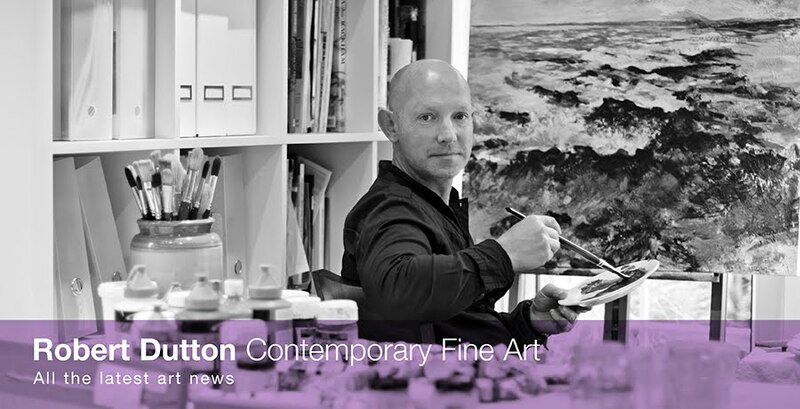 its going to be an exciting day and with a superb 'goodie bag' of top quality papers from Canson (worth over £63rrp) given to all who attend, your entrance to the show (worth £9.50) and my 3 hour tuition as well, this is indeed a great deal not to be missed! 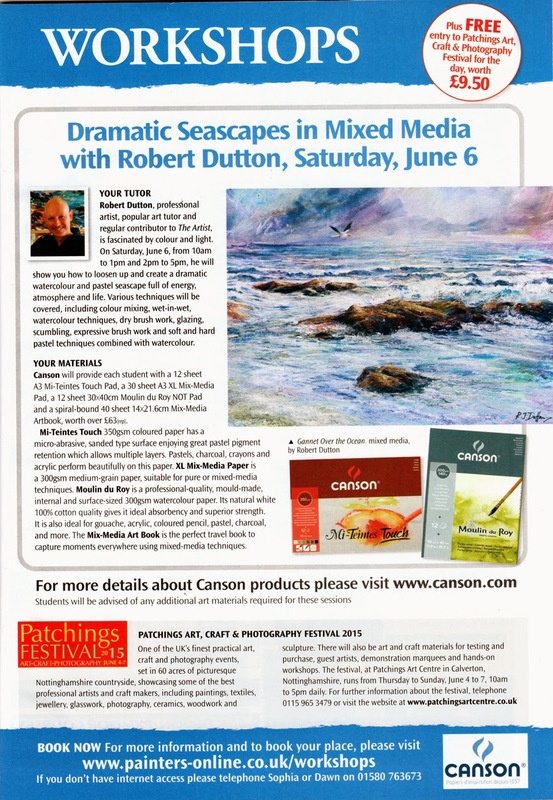 There are a few places left on both morning and afternoon workshops at 'Patchings' supported by 'Canson' and The Artist' magazine with me on Saturday 6 June' 15 so I'd get your skates on to secure the last places ASAP if I was you!